Swimming pools, shopping, dancing ,what's your dream?! Las Vegas has it all. 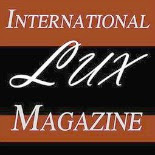 It is a fun place to relax, unwind and show off your great style. I was invited to a style challenge by the site vegas.com to create a collection of outfits. This is my take on how a gal can transition from day to night and be effortlessly chic. I've been to Vegas twice so far. I haven't even scratched the surface when it comes to touring all the ornate hotels. For once in my life...I was truly speechless, ha! (That doesn't happen often) All I could do was gasp at some of the huge palace like resorts. Last February I was in town for a milestone birthday and fashion trade show. I decided to spend some time at the Venetian. This hotel definitely has the ambiance of a classy Italian village, and is for sure one of my favorites! The Grand Canal Shoppes satisfied all my shopping needs, and more! When shopping time is done, you can do lunch with the "Cake Boss!" Buddy's Ristorante features casual dining, with an upscale atmosphere. 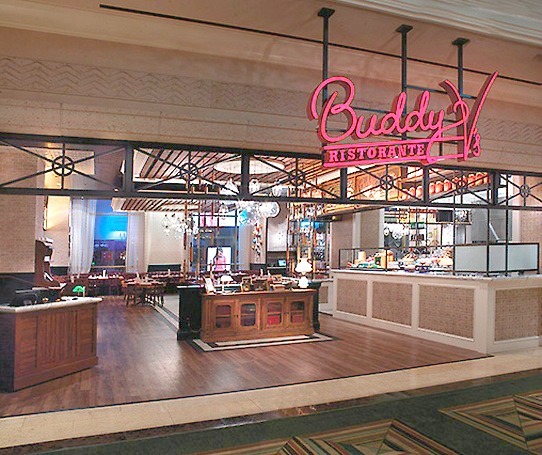 The menu has a wide of selection of American and Italian cuisine, including some of Buddy's signature dishes. He may even share his famous Italian birthday cake with you...yummy! My stay at the Trump towers was totally amazing! This is the place to get your glam on. 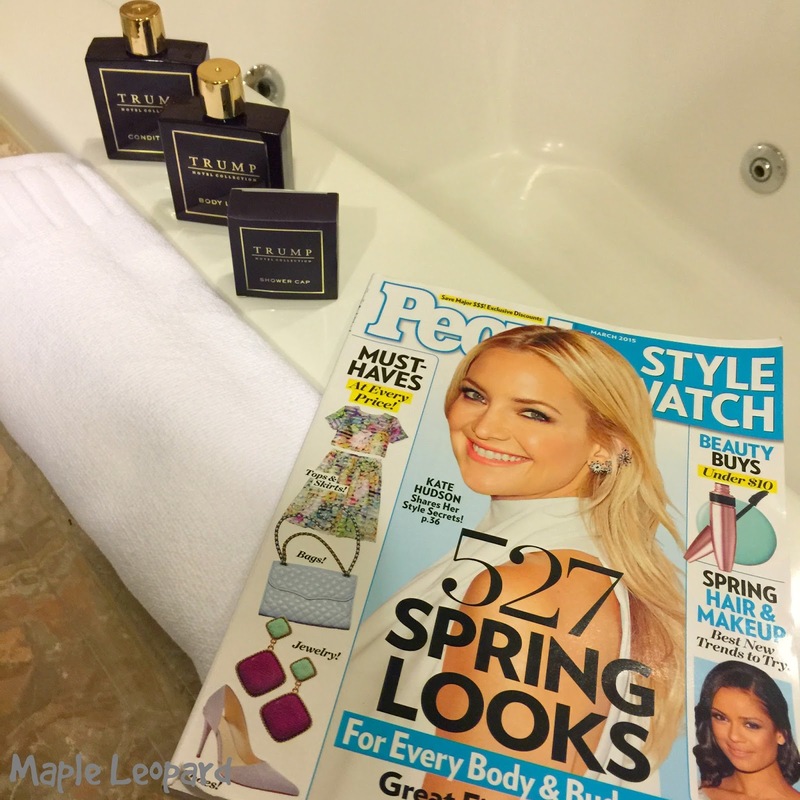 Pampering and spoiling, are on the menu all day long! The room was absolutely gorgeous and so relaxing. The big jacuzzi tub was my friend all week, as well as the pool! The selection of hotels in Vegas is endless! Each hotel offers such a unique experience. This hotel page offers superb deals on accommodation packages and shows. Grab your sunnies, throw on your cover up and off to the pool you go! Speaking of the pool, how many swimsuits does a fashionista need?! One suit for each day of the week, of course! Swim suit shopping can be overwhelming to say the least. Fortunately there are many choices to accommodate every body type and shape. If you are a little self conscience but still want a little edge to your suit, tankinis are the way to go. If you are that bold girl, then by all means invest in a cheeky bikini! Your packing list should also include several pair of shorts and tank tops. I spent a few hours exploring the strip and just taking in all the sights. Wow, It's a long hike to get from one end to the other! I made it half way before I had to hop a bus. The blazing heat got the best of this girl. Whatever your plans are in Vegas, try to spend your money on clothes that multitask. Amid all the fun activities, you might not have a lot of time to spend planning outfits for the day. I also suggest packing of casual/dressy staples that will take you from day to night. A midi length dress is the perfect anytime, anywhere piece that will transition easily from dinner to a night on the town. Changing out accessories such as shoes, bag, and jewelry can transform your look instantly . Let your accessories do the talking! My favorite night time venue to visit is the Rio. 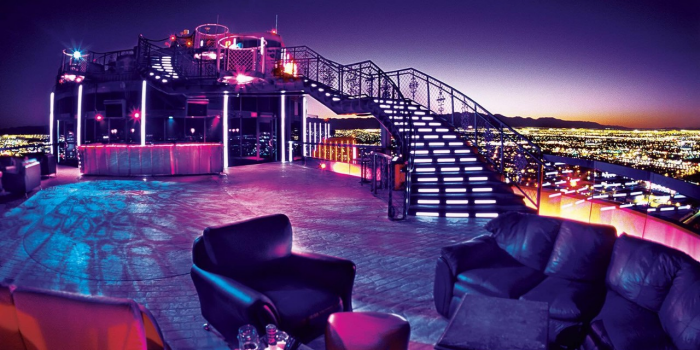 The rooftop Voodoo lounge is just amazing! The view and atmosphere are spectacular. Don't worry, no hexes , just great fun and dancing awaits you! Lovely ladies, I hope this post has inspired you to discover new style ideas for vacation. If you enjoyed it, I would appreciate a share on social media, thank you! Perhaps reading this prompted you to plan a trip to the city of entertainment:" The Miracle In The Desert." 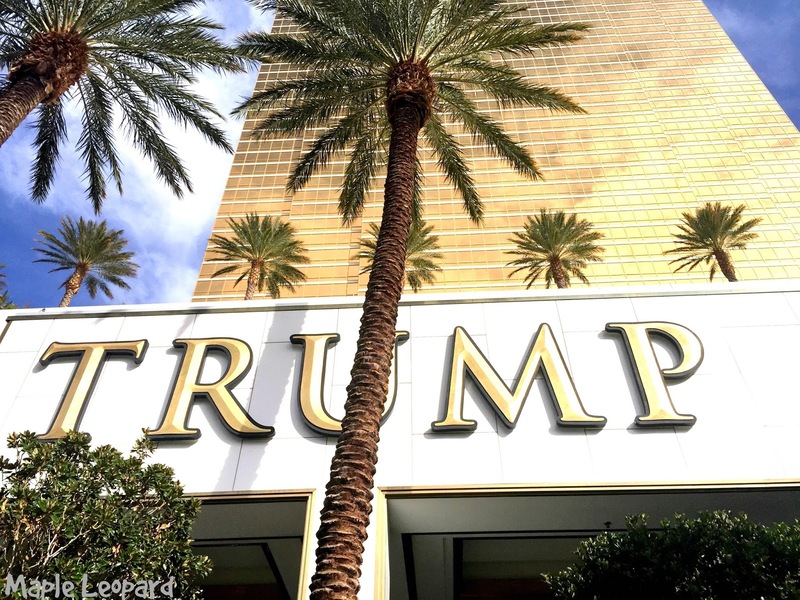 Have you been to Las Vegas yet? If so, I'd love to know your favorite styles you wore while there. I've never been to Vegas, but would love to go there! I love your fashion picks! That Little Black Dress is perfect! Thank you Logan, I hope you can go too, you will love it! Hi Saswati..thank you so much! I am glad you stopped here! Great post! I LOVE Shopping at the Venetian! I used to go to Vegas quite often, but I haven't been in a while, and need to check out the VooDoo Lounge! Thank you Angie! 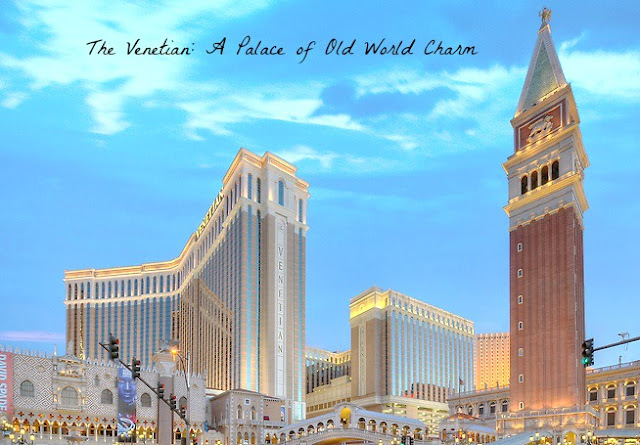 The Venetian is just gorgoues, and that rooftop bar is so amazing! Thanks for commenting! I love Vegas! 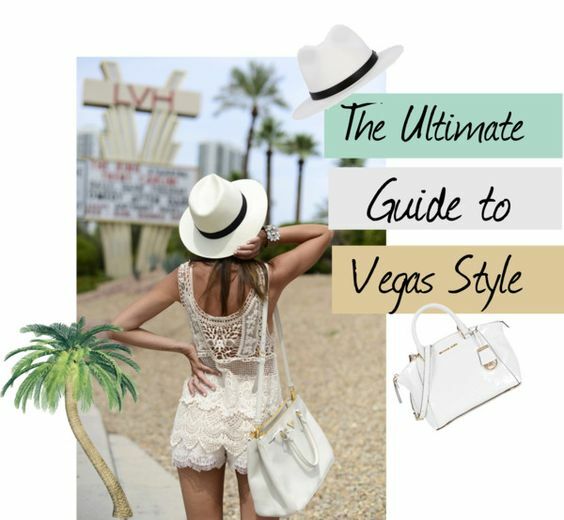 It looks like you had an amazing trip and you're Vegas style is perfect. Thank you Allison for the kind words and for stopping by! Vegas is amazing! I cant wait to go again in Feb! I love Vegas!!! These pictures are great! Thank you Elise...Vegas is the best! Glad you stopped by here! Thank you Shauna it is from a wholesale retailer called Shebobo, I think they do some individual sales on their site... Glad you liked it...have a great week! I absolutely love this post! I want to go to Vegas sometime, so I am definitely pinning this and digging it back out when I go! Thank you China Barbie, I am glad you like it. I hope you can make it there soon, its a total blast! LOVE that bag!! I wish it were mine! this is awesome. Great job.. Thanks Rai! Glad you stopped by ...! I've never been to Vegas, but would love to go there one day. Great photos. Looks so fun! Thanks for sharing. Hi Sharon, I Hope you can go one of these days, such a buzzing fun place!! Thank you for visiting my blog! Fun photos! I haven't been to Vegas in years and would love to go back someday. I love your Vegas style! Thank you Jill! I hope you can go soon! I had fun doing this post! I never knew Las Vegas really looked like that or had so many things to offer. I really love your pictures and your day to night looks! Hi Lanae, this doesn't even scratch the surface of what's there...thank you and I hope you can go someday!! You look awesome! It's not called the SIN CITY for nothing - love LV!! Thank you Rebecca....! Ha ha very true indeed! Thanks for stopping by! 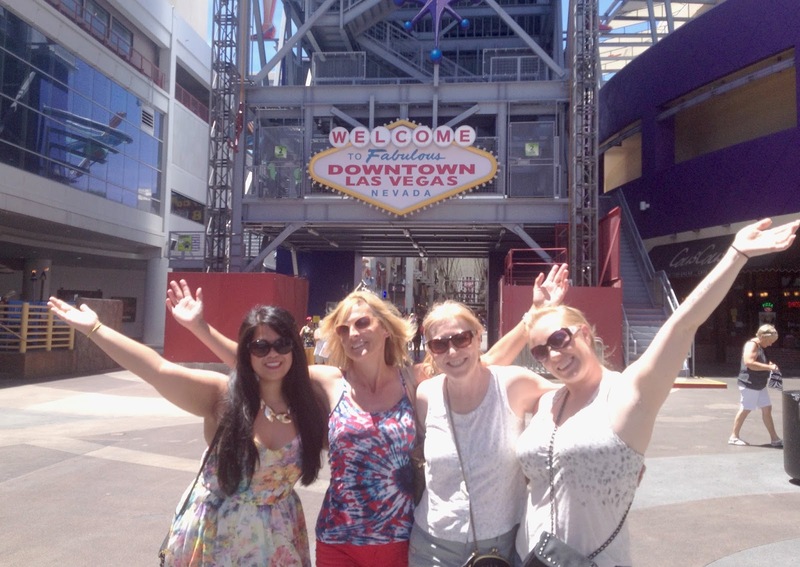 Las Vegas is a classic place to go for vacations! Ah, what a nice place to wind up your time. Excited to hear from you again! Thank you Shailendra for stopping by...I love that place! I have yet to visit Las Vegas, but this post has me excited for when I finally do! I love this guide! I've never been behind the scenes of the Vegas hotels, and your photos are amazing! 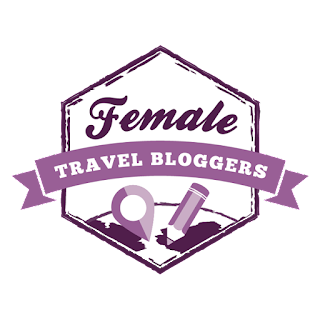 Thanks for linking up with Travel Tuesday! Thank you so much Christy for stopping by and for the kind words!! I was at this place last week. This is such a joy as a place for food! I had a beautiful time at this event venue. It reminded me of another center in Memphis, Tennessee. A beautiful, wonderful place that had excellent atmosphere. Hi Kassandra..thanks for stopping by, Vegas has so many fun places.. I love your fashion!! What great outfits you put together! Thank you so much Miss K for the kind comment! Stopping by from The Blended Blog. Several of us TBBers went to LV for a blogging conference and a meet up! We stayed at the Venetian and it was pretty impressive! And I've been to Venice Italy! Hi Sheila thanks for stopping by..I hope to go to that conf next year! I also go to the fashion trade show there called Magic..so awesome! Who doesn't want to be fashionable? everyone does right? Many people search for a fashion consult so that they can be more fashionable. They will get many advise about fashion from that guide.